This month we would like to surprise our club members with something fresh, something new and early. You! Hostit! Joomla Hosting Enterprise Template is perfect for your new Web Hosting Services website. With unique colors and Web 2.0 style You! Hostit! is very fast loading and enhanced with YJ default styling features, 4 amazing color variations, demo content, new Title menu.New Joomla Extensions like YJ Whois 2.0, Yj Newsflash 3.0, YJ Multitabs, will take care of all your extra content and give your visitors unique experience. 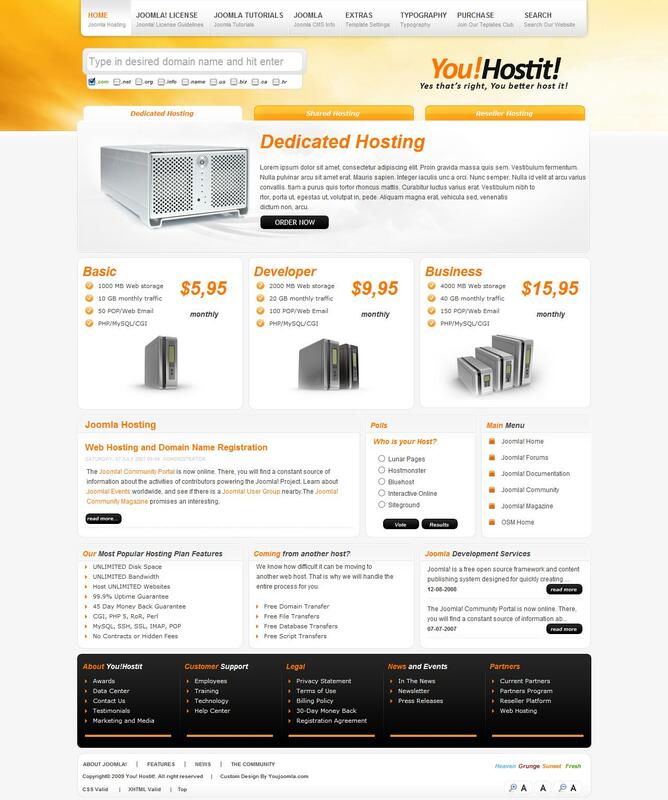 Template joomla You Hostit from developer YouJoomla perfect for website hosting company.